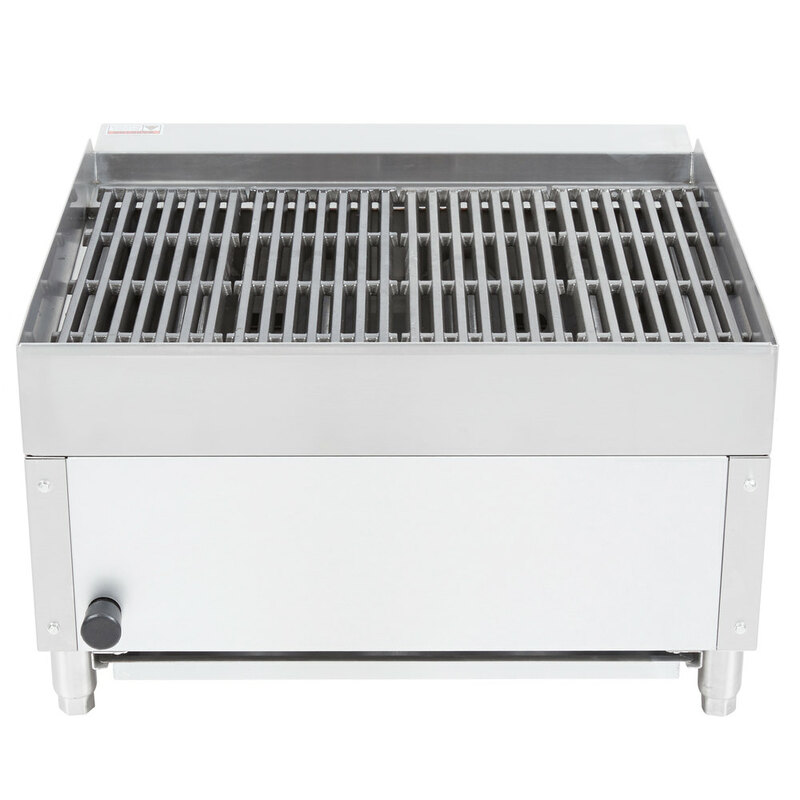 Perfect for busy operations that are tight on space, this Avantco AG24RC 24" gas radiant charbroiler easily adds compact convenience to your kitchen! 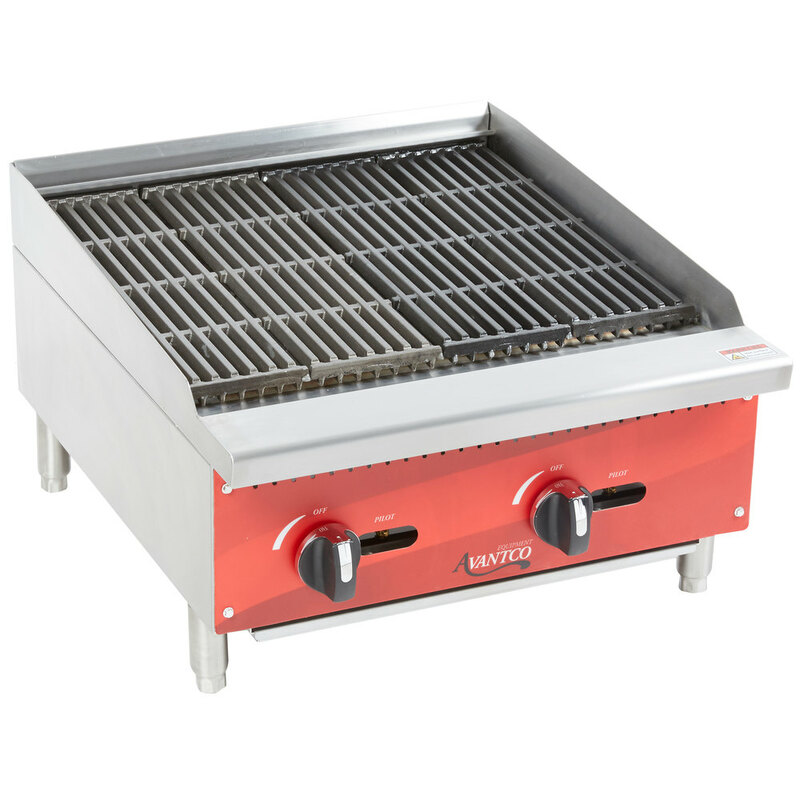 With a countertop design, the unit is space efficient, and with its (2) 35,000 BTU burners, it's ideal for whipping up burgers, vegetables, and other delicious dishes. This particular unit relies on radiants to deflect heat towards the cooking surface for consistent and quality cooking. Operation is simple and intuitive too, thanks to the 2 large control knobs located on the front of the unit. 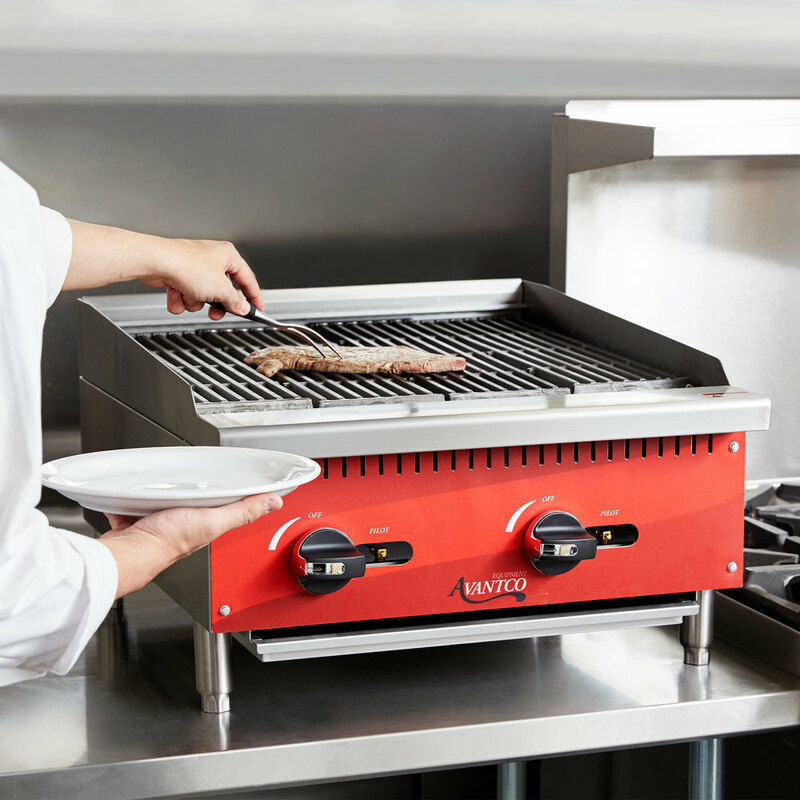 These controls independently operate the burners, so you can set each side of the charbroiler to best suit your cooking task. 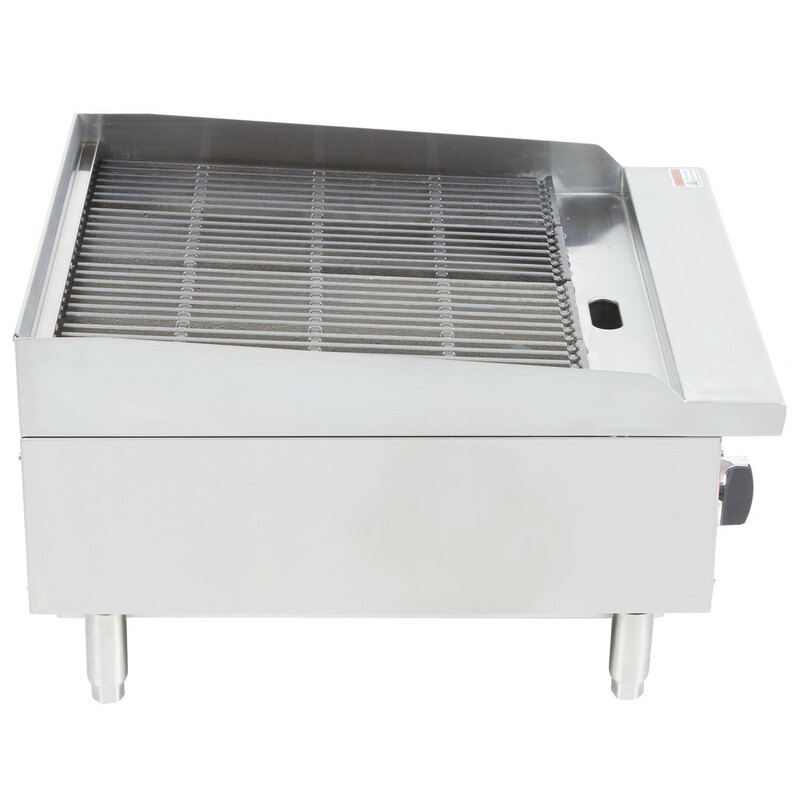 A waste tray is included to make clean-up quick and easy after use. Unlike other charbroilers that necessitate either liquid propane or natural gas, this unit ships ready for a natural gas connection, but can be converted to accept liquid propane. The unit uses a total 70,000 BTU for operation. Great grill for the price. 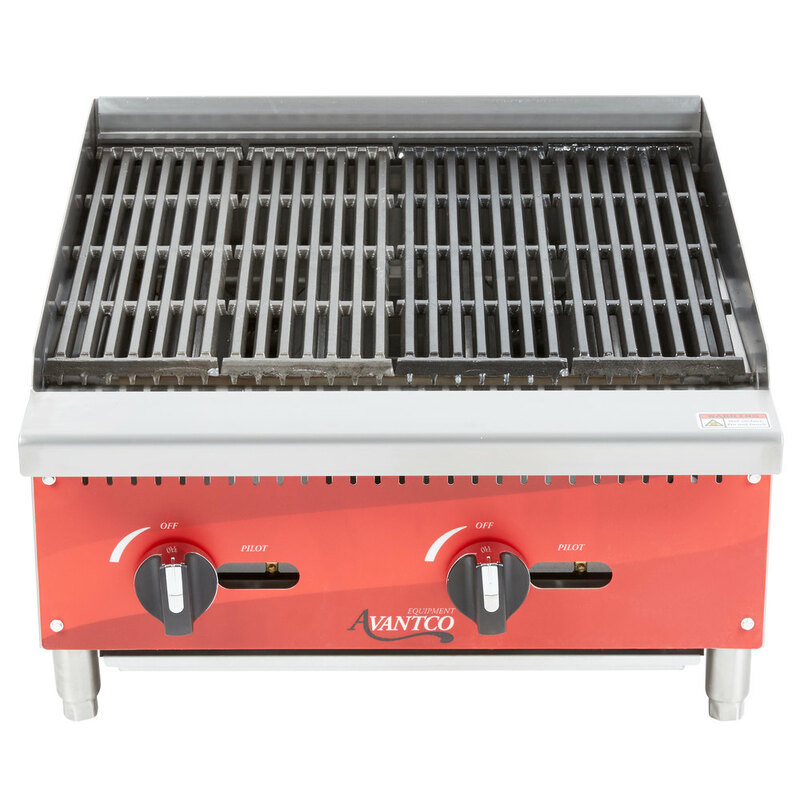 It puts out very hot temperatures and is compact enough to fit on a small prep table. Our restaurant does not do a lot of grilling, so the 24" size is perfect for us. Not large enough for a steak house. Great charbroil for the price. No need to overpay for a gas Charbroiler. This one works very well. The only negative is that you will need to watch the thermostat as it heats up very fast and doesn’t need to be on full high to cook. This was my second charbroiler, and I must say, these are really great! Very happy with the purchase, and the conversion kit included was super simple. For the price you can't beat it...We have been using this grill for almost a year now, and no real problems. We are a fairly busy bar and grill and it has been perfect for us! This gas grill is also. We use if for grilled wings, toasting buns, and other things. Easy to take apart and clean as well. Good item.